The holidays are coming up soon and that means many people will be traveling to visit family and friends. For many pet parents, it is easy to take their pets along on vacation and trips. For others, it may not be something they are able to manage and that's OK too. As a pet parent, there are several options available for pet care when you go out of town. 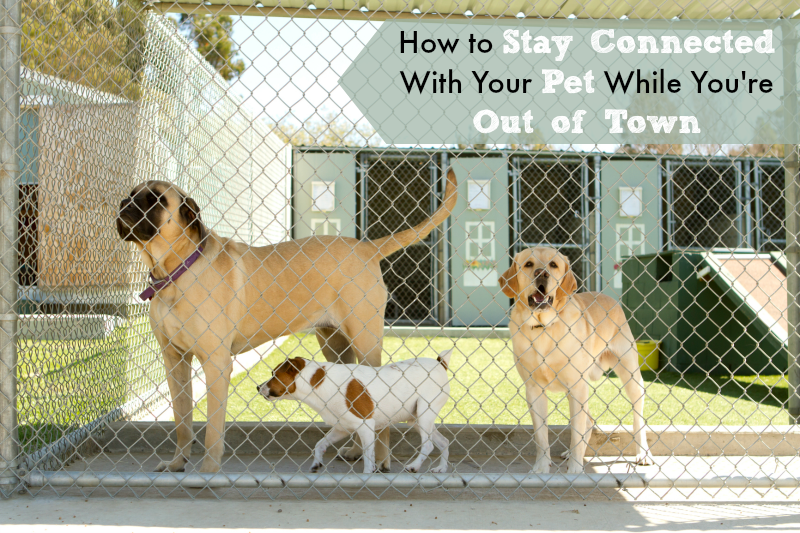 You can leave your pet at a boarding facility, pet sitter, or leave them with friends or family. As a Veterinary Technician, I have cared for many boarding pets in the past at our hospital boarding facility. 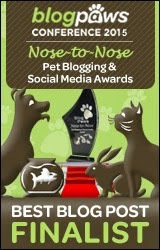 I know many pet parents like to check in and see how there pets are doing during their stay away from home. Recently, I was introduced to a service that connects pet parents with their furry friends while they are away. The service is called "How's My Dog" and it allows you to receive daily updates from your pet and the boarding facility they are staying at. The best part? It's easy to use and free. There are 4 simple steps to using How's My Dog. 1. First of all, ask your boarding facility or pet sitter is they use How's My Dog. If not, it couldn't hurt to ask them to sign up! The How's My Dog website does make it easy to search and see if you're pet's boarding center is already registered too. They will add your contact information and you'll receive a welcome email. 2. Each day, your boarding facility or pet sitter will generate a special message to you from your pet with an update on how they are doing. Below is a sample update message from How's My Dog. 3. 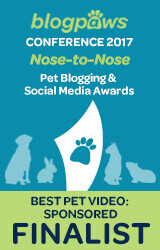 Check your email each day you are gone to be connected to your pet instantly and find out how they are doing. 4. 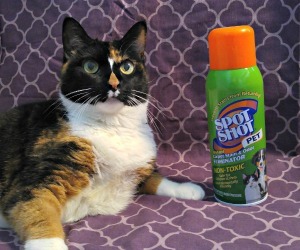 If you so desire, you can send a reply message to your pet. The boarding facility staff or pet sitter can then read your message to your pet out loud. If you are a pet sitter or boarding facility owner, I would recommend checking this service out as well. Clients love to feel at ease and be reassured that their pets are in good hands under your care. 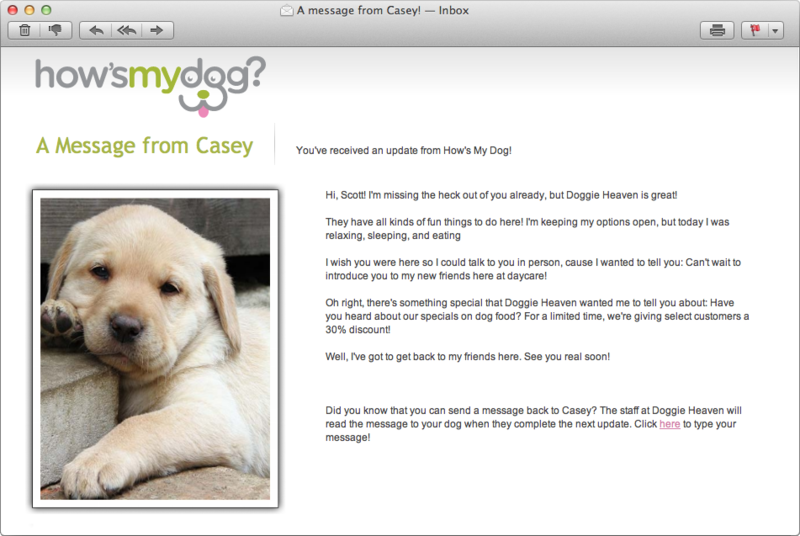 What better way to gain their trust then by sending them daily updates on their best furry friends? It's a commodity many pet parents will appreciate. There is a small monthly fee associated with the How's My Dog service. To register your boarding center, just click here. We would love to know your thoughts about the How's My Dog service. Does your boarding center, doggy daycare, or pet sitter offer a service like this? If not, is it something you'd like to see them use in the future? Let us know your thoughts in the comment section! This post is sponsored by How's My Dog. I am being compensated to help spread the word about How's My Dog, but Pawsitively Pets only shares information we feel is relevant to our readers. Update - This post was supposed to be sponsored by How's My Dog. However, we were never reimbursed for our services. I could just take the post down, but it did take time and work to write and create. Therefore, I am adding this update just in case others are considering doing business with this company. This would certainly make me more comfortable as a pet owner. We agree. Peace of mind is everything. Have a marvellous Monday. what a nice idea, I specially like the writing style of this mail, that'*s cute! And it's great to be informed when you are far away from your pet. btw: the pup on the left who looks like a giant pug is beautiful! That doggy is a mastiff! Very pretty indeed. We think that is a darn good idea! What a pawsome concept. I think it's a wonderful idea. I already sent your post to the Pet Resort that Harley goes to. Thanks for a great post! This is a really cool idea. So far we're lucky enough to have family or friends that stay with the dogs when we're gone, and they already know I'm crazy....LOL....so they're pretty good about giving me updates most of the time. I would definitely use this if I had to leave the dogs at a facility or with a pet sitter who I'm not close to though. Same for me Jan. The one time I had to leave Shiner at a boarding facility, I was pretty comfortable with it anyways since that's also where I worked and I had the kennel technician's cell phone number anyways. This was a wonderful post! |thanks for sharing! de petz room.....nothing like that round here tho....N itz been awhile since dawgs roamed trout towne..
Maybe they need a "How's My Cat?" too ;) I think it would be fun to watch your dog while they are off at their resort. I've seen some places that do that too. What a great idea. M wishes they would have had that when they used to take vacations. They don't go anywhere much anymore. I don't either Mario. Maybe I will travel more when I am older! Nice idea. Bailie's daycare has webcams which Mom is always looking at too. I like this idea but would like to see a more personal or detailed letter each day about my dog. The sample email seems kind of generic, but I imagine each boarding facility could customize the emails. Yes Elaine, the sample is just that - a sample written by the makers of How's My Dog to show people what they might expect. Each facility can write their own message however they like. That's very cute. When I was single, we had a pet sitter who would email daily reports about what she and (angel) Graphite did, how he was, how he ate, etc. It was really nice! What a neat service! I love getting texts and photo messages from our pet sitter, but this would be cool too. I'll have to check it out!